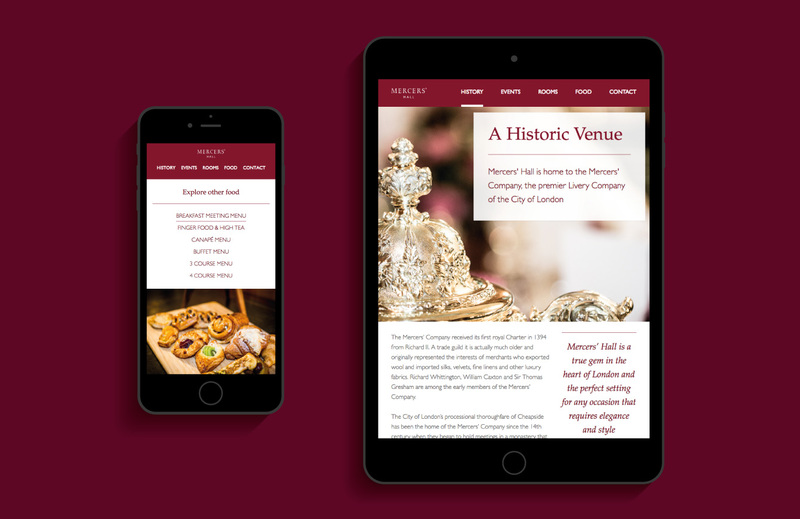 Naked Creativity worked with the Worshipful Company of Mercers’ to produce a venue hire brochure and microsite to promote Mercers’ Hall as a venue for conferences and events. The Worshipful Company of Mercers’ is the premier Livery Company of the City of London and ranks first in the order of precedence of companies. 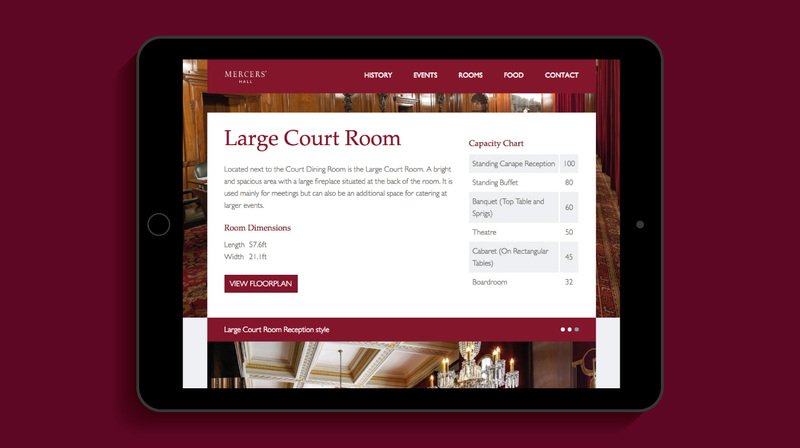 It received its first royal Charter in 1394 from Richard II and throughout it’s 700 year history, the Company has looked after the welfare and interests of mercers in the City of London, managed charities, almshouses, and schools, and played a prominent role in London civic life. 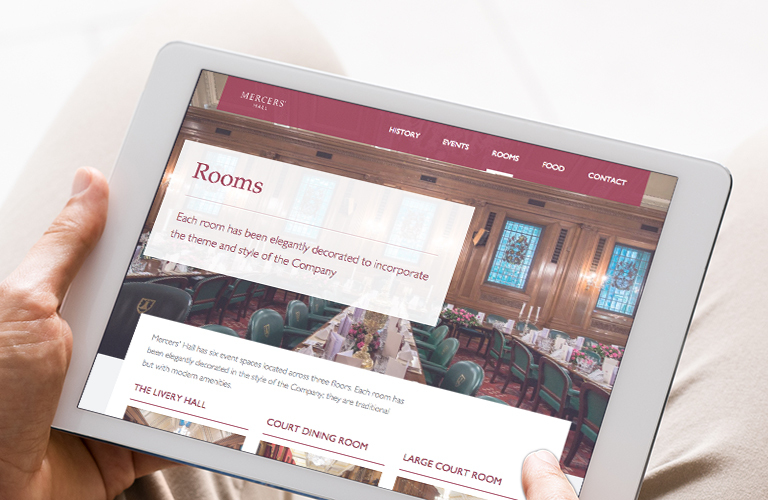 The design of the microsite showcases the venue and food images, with subtle animations adding detail when the page loads. 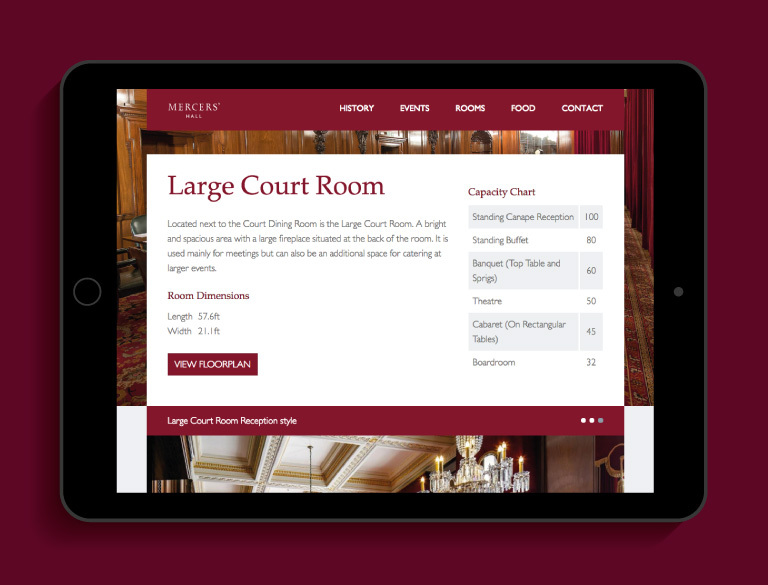 A capacity chart for each room allows the user to quickly assess if a room is suitable for their event and similar rooms are suggested to guide them through the rest of the site. The website is edited with Cee.ms, our easy-to-use content management system.